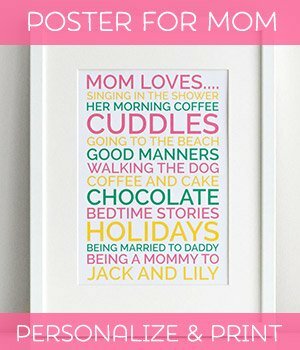 A baby sock rose bouquet is a beautiful and practical gift idea for a new Mom. Not only is it unique, it is useful too! 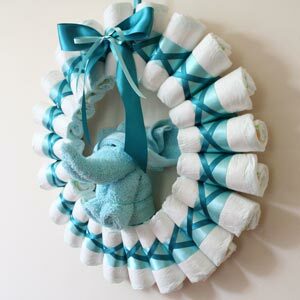 Scroll below to watch my short video and learn how to make baby sock flowers for yourself. It only takes a few minutes per rose, and I am sure you will pick it up in no time! muslin square (27.5" / 70 cm), to wrap your bouquet of sock roses. 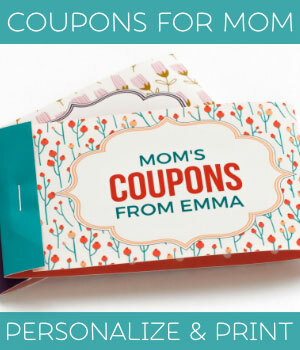 Alternatively, brown kitchen paper, or pretty wrapping paper. 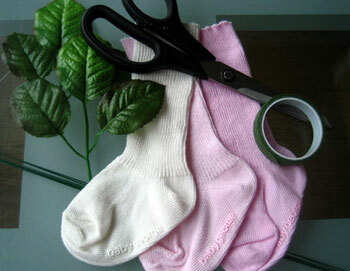 To teach you how to make your roses out of baby socks, I made an instructional video. Click the white arrow in the middle to play. 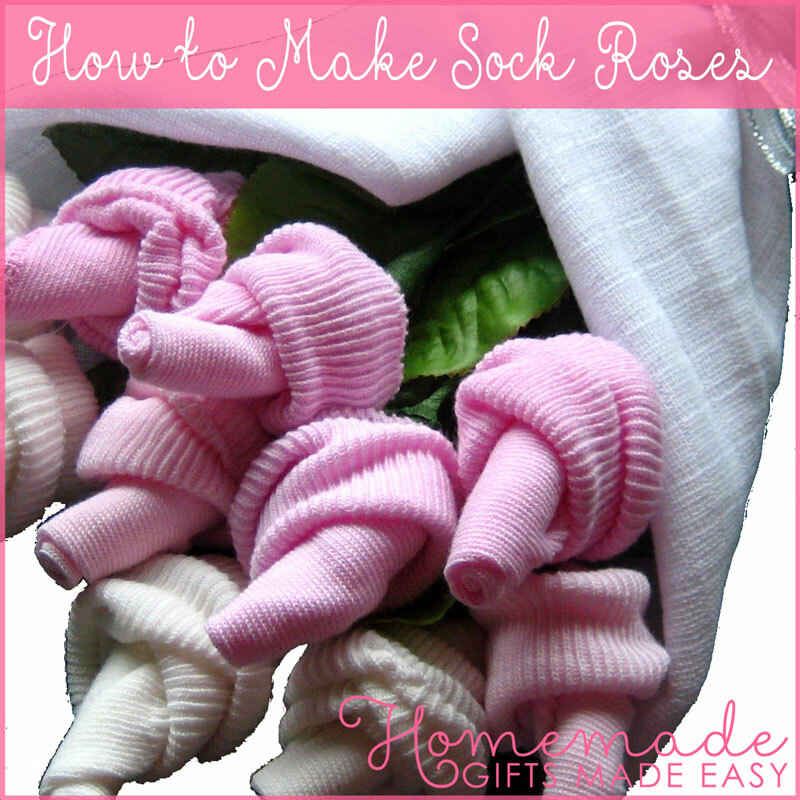 Once you have made your baby sock roses, there are many ways you can turn them into a bouquet. I wanted to make every part of this bouquet a useful gift, so I chose to wrap the flowers in a square of muslin. 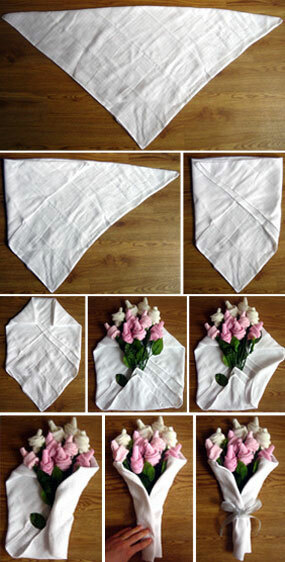 To do this, I simply folded the muslin square into a triangle, and wrapped it around your flowers. I found that the muslin is a bit floppy, so I added some extra folds to help it keep its shape. 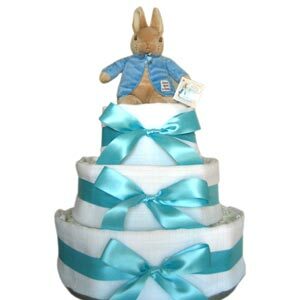 See the step-by-step pictures below for more information. Alternatively, why not mix your sock roses in a bouquet with fresh flowers or foliage? Pick from your garden or buy some green foliage to pack around your roses. 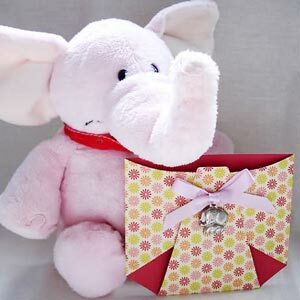 Wrap your bouquet of flowers in cellophane or paper and secure with a ribbon. Beautiful!